“The Russian lawyer, Natalie Veselnitskaya, who met with Trump Jr. and other advisers to Donald Trump Sr.’s campaign, represented a company that had run afoul of a U.S. investigation into money-laundering allegedly connected to the Magnitsky case and his death in a Russian prison in 2009. His death sparked a campaign spearheaded by Browder, who used his wealth and clout to lobby the U.S. Congress in 2012 to enact the Magnitsky Act to punish alleged human rights abusers in Russia. The law became what might be called the first shot in the New Cold War. “The real giveaway for me, which got me looking into who Pomerantsev works for, was his choice of heroes in the scary Kremlin information wars: western investors, and western global financial institutions. People like billionaire vulture capitalist Bill Browder, the bloodless grandson of former US Communist Party leader Earl Browder, who served as Putin’s most loyal attack dog while he was raking in his billions, but then transformed himself into the Andrei Sakharov of vulture capitalism as soon as Putin’s KGB tossed Browder out of their circle and decided to keep his share of the take for themselves. 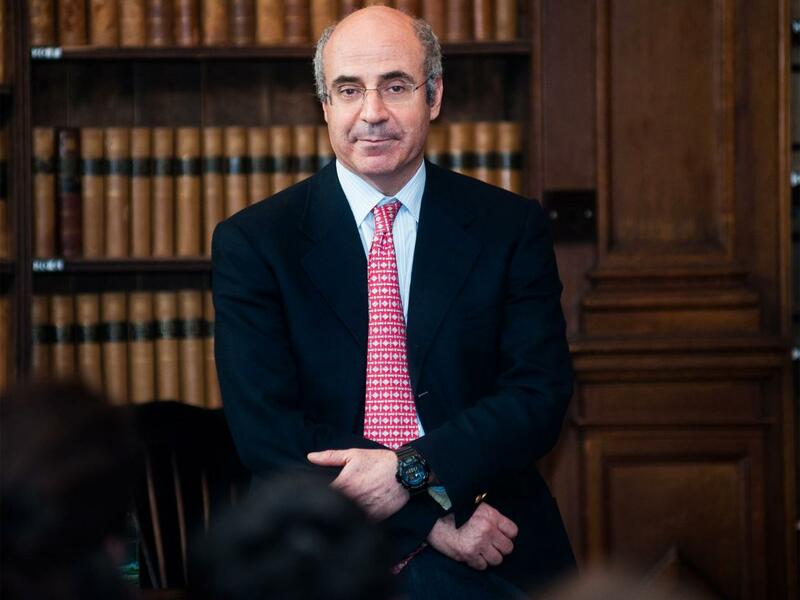 Pomerantsev is so close to Browder, we learn from his book, that he even serves as one of Browder’s lobbyists before the British parliament to push through an anti-Kremlin sanctions bill, the Magnitsky Act, bankrolled by Browder’s ill-begotten stash. That’s the Bill Browder I remember. And ever since his KGB pals decided they’d had enough of him and chased him out to London a very rich vulture capitalist, Browder has styled himself as the Mother Theresa of global vulture capitalism—and he’s thrown untold millions into promoting that public relations/lobbying effort, whose goal is to use human rights abuses he once covered for and profited from as a cudgel to force the Kremlin to become investor-friendly to vulture capitalists like Bill Browder again. To do that, he’s exploited to the hilt the truly horrific murder of one of his lawyers, Sergei Magnitsky, at the hands of Russia’s brutal police. Magnitsky’s death appears to be the first Russian death Browder ever cared about in his 15 years of milking the country dry during the tragically deadly 1990s and beyond. Browder appears to be a “cats-paw” in the new cold war with Russia, this time amazingly led by Democrats. The first salvo was when the Democratic Party tried to explain Clinton’s presidential loss as the result of Russian hacking of the election system. There is a stunning reversal of the Red-baiting era of the 1950’s which was led by Republicans. In a clear example of how both political parties answer to the same master, it is the Democrats this time leading the new cold war, poking the Bear with sharp sticks. In Browder’s case, he’s just pissed off that he lost out on the opportunity to skim more blood money out of Russia. But he’s just a pawn too. The bigger picture is the stage being set to drive a wedge between Russia and China with the battlefields being Ukraine, the middle east, and the Balkans. This entry was posted on August 4, 2017 at 4:05 pm and is filed under Tell the truth and run !. You can follow any responses to this entry through the RSS 2.0 feed.